special skip-the-line access means you’ll get a thrilling, in-depth exploration of the iconic Colosseum and other sites of ancient Rome. At the completion of your Colosseum tour you jump back on the double decker bus taking you through the eternal city seeing all the iconic highlights. Each stop the bus makes allows you get off and explore. 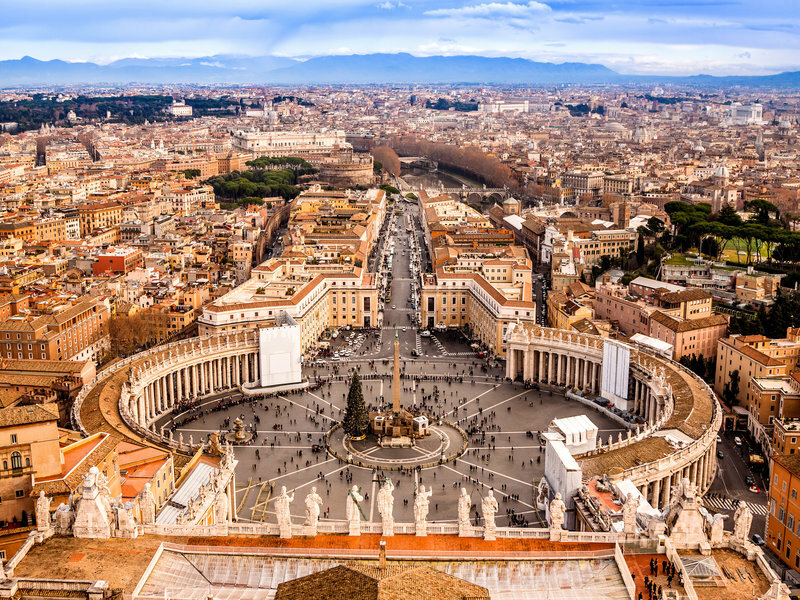 On each group tour, you’ll be accompanied by an English-speaking expert in Roman art and history. Meet your guide at 10:15 a.m. to check in for your afternoon group tour. You’ll meet your guide near the entrance to The Colosseum—the extraordinary amphitheater was ancient Rome’s center of public entertainment. Before you enter, your guide will give you a thorough history lesson about the site, including the gladiatorial clashes, wild-animal fights, and mock-naval battles that were once staged here. Once you’re inside, you’ll wander remnants of the seating arcades that once fit 50,000 spectators. Next, you’ll explore the onetime cultural, economic, and political center of ancient Rome, the Roman Forum. You’ll walk along the Via Sacra, tracing the paths of ancient military processions and political rallies. You’ll also see important sites like the Temple of Julius Caesar (where the emperor’s body was ceremonially burned), and the Curia Julia—the still-intact Senate House where Cicero and Mark Antony once orated. According to legend, the twins Romulus and Remus first decided to begin building the city of Rome atop this impressive hill. You’ll understand why as you walk here among its ruined emperors’ palaces and still-blooming botanical gardens.